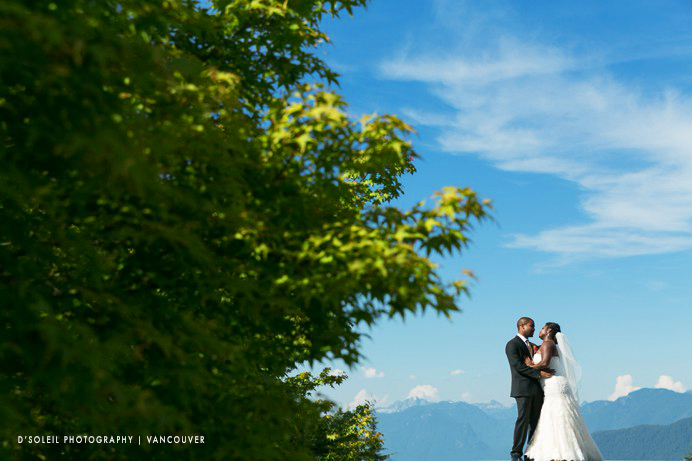 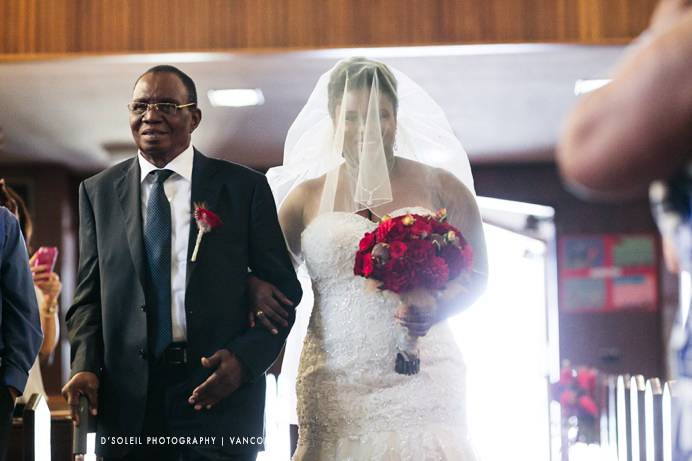 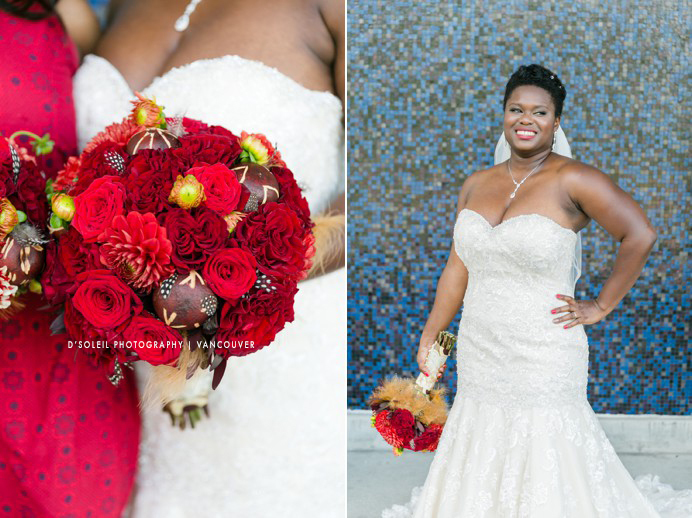 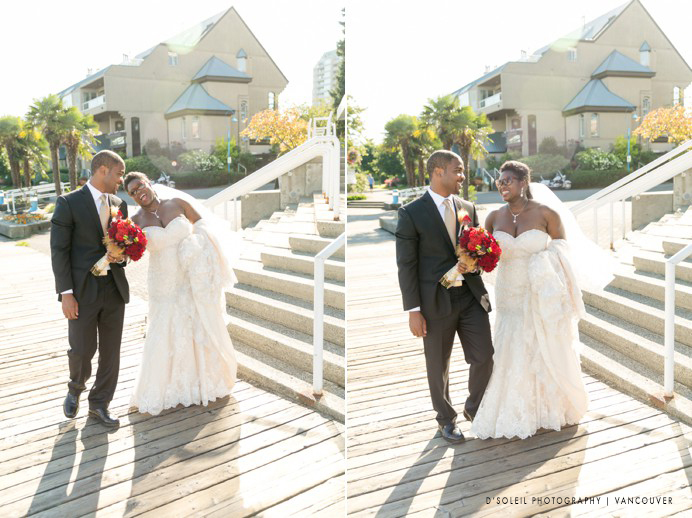 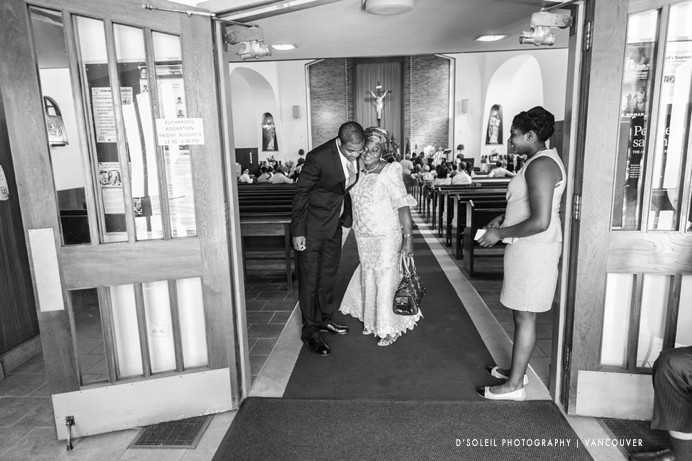 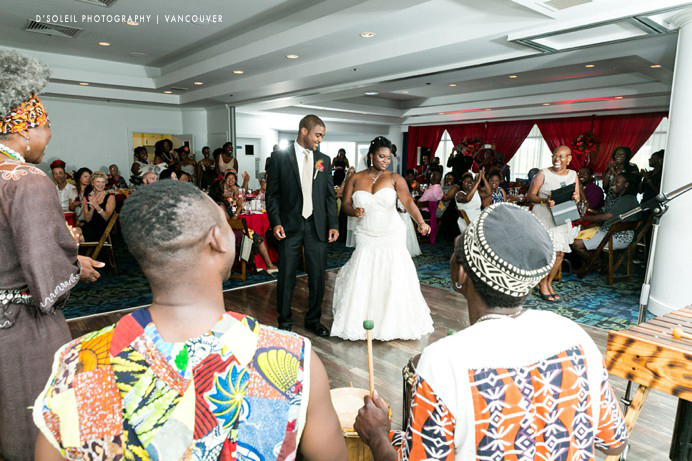 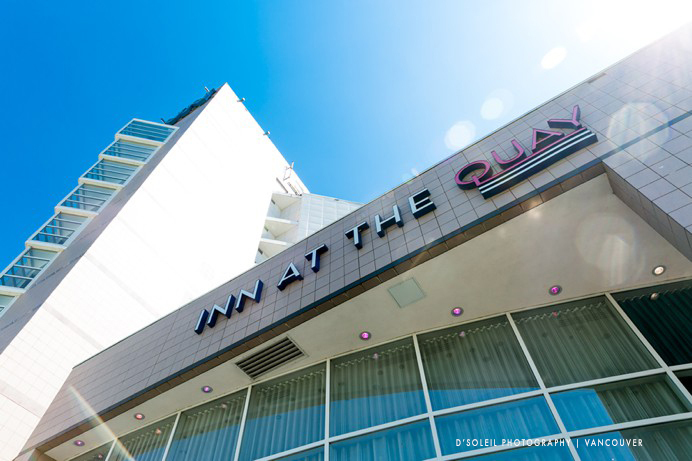 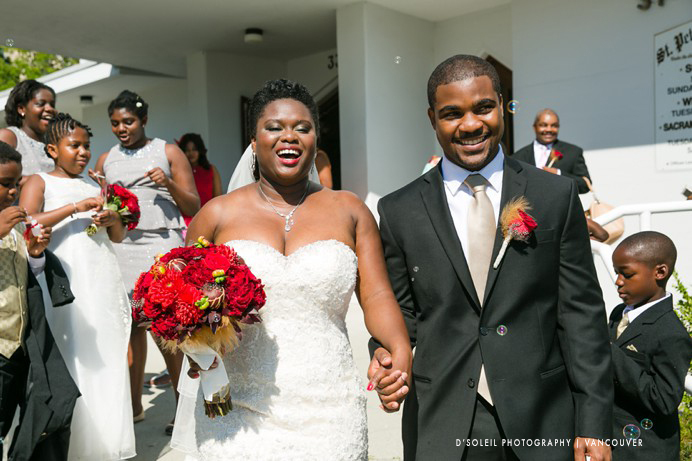 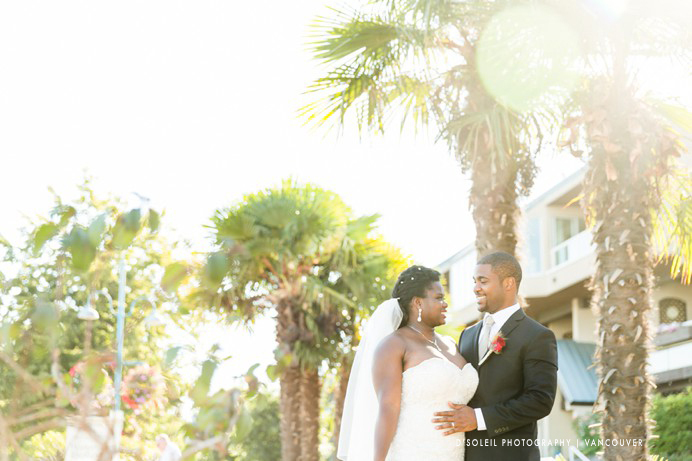 One thing I love about working as a wedding photographer in Vancouver are the many cultural experiences – in particular this Inn at the Quay Hotel wedding that Dami + Curtis celebrated in African Caribbean style. 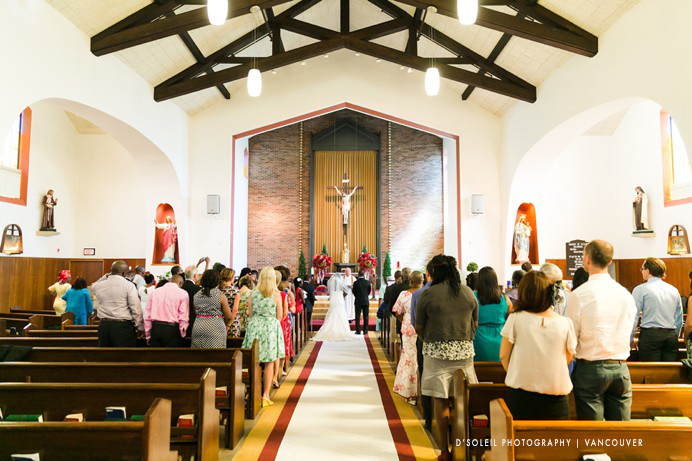 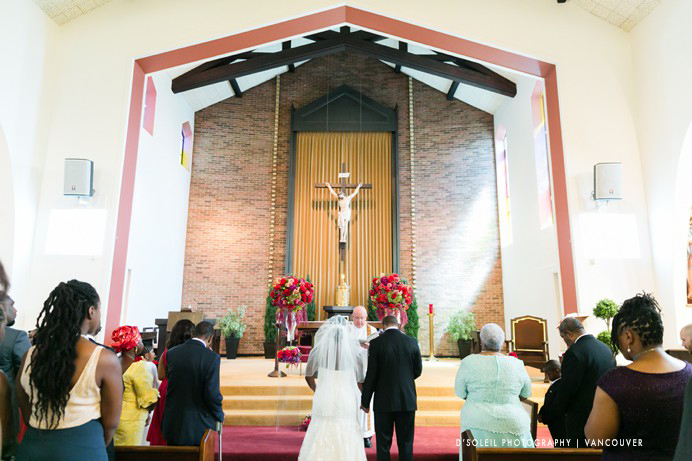 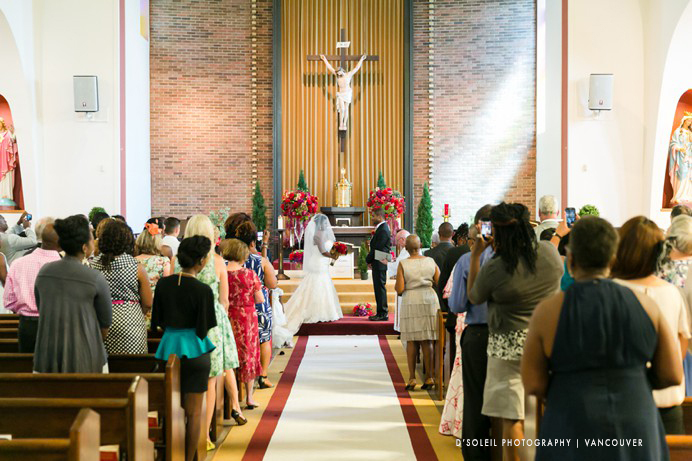 The wedding ceremony was held at St. Peter’s Catholic Parish in New Westminster. 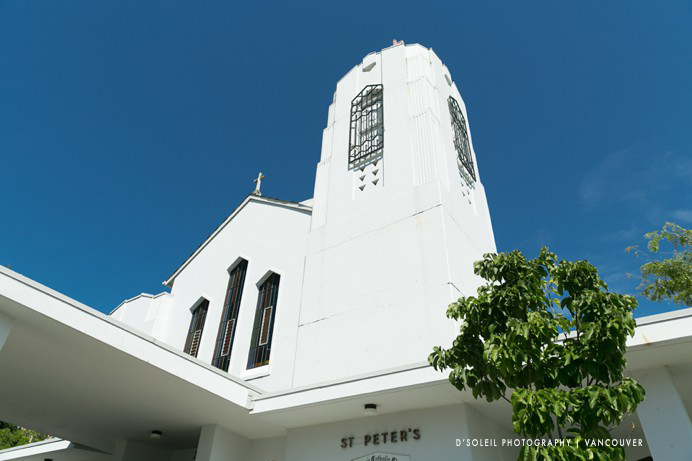 St Peter’s is one of the most beautiful buildings in downtown New West. 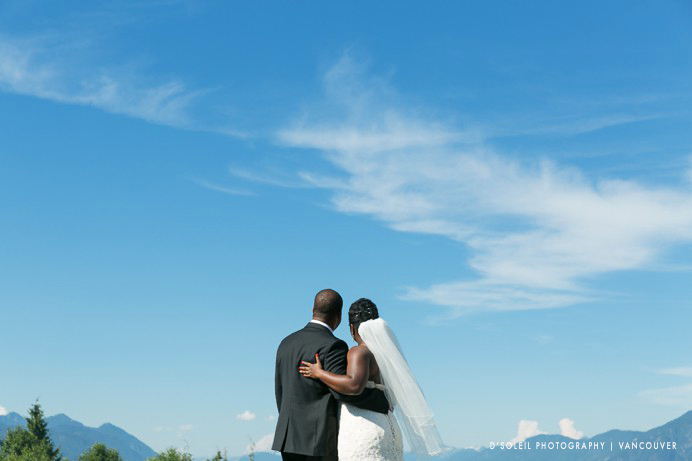 The clean white exterior against the stone blue sky this summer was something right out of the Caribbean. 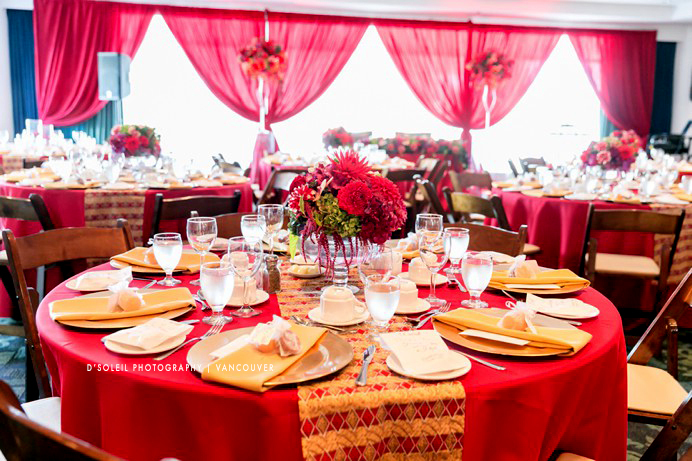 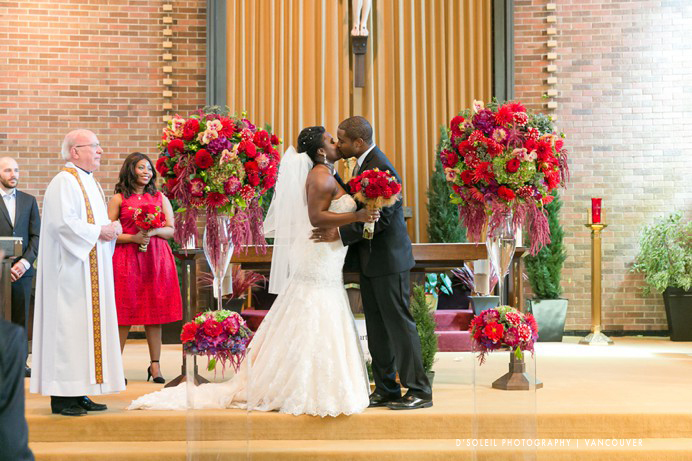 The floral decor was specially crafted by the talented florist, Dushan of Dushan Flowers. 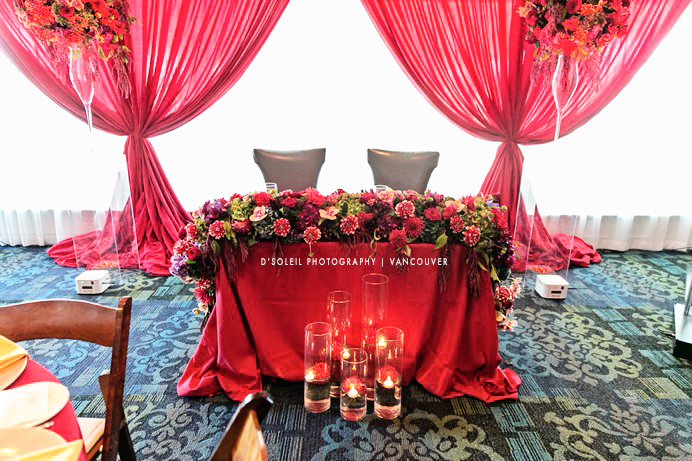 Helping put it all together was the dynamic wedding coordination team of Daniela and Sahar of Modern Mint Event Coordinators. 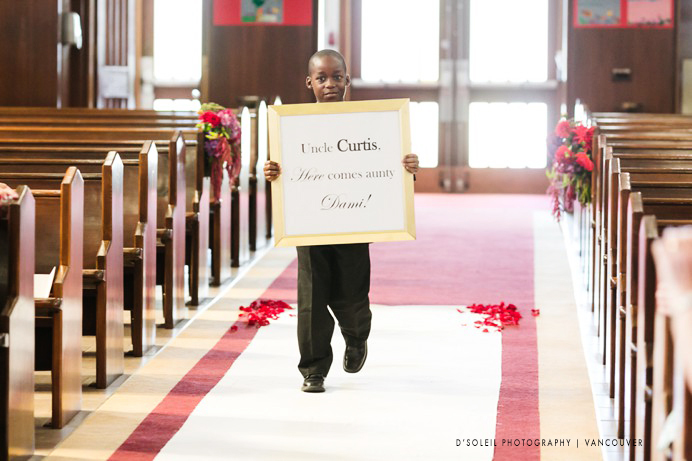 We love seeing these sort of cool signs at weddings. 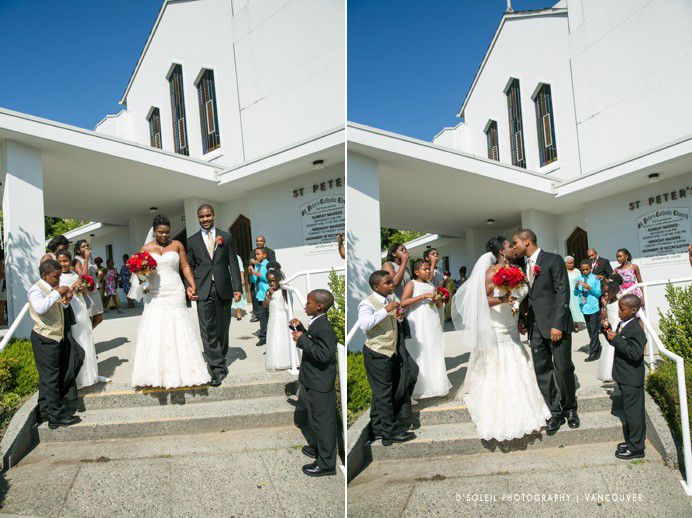 They add a lot of fun to anticipation of waiting for the bride to arrive for the wedding ceremony. 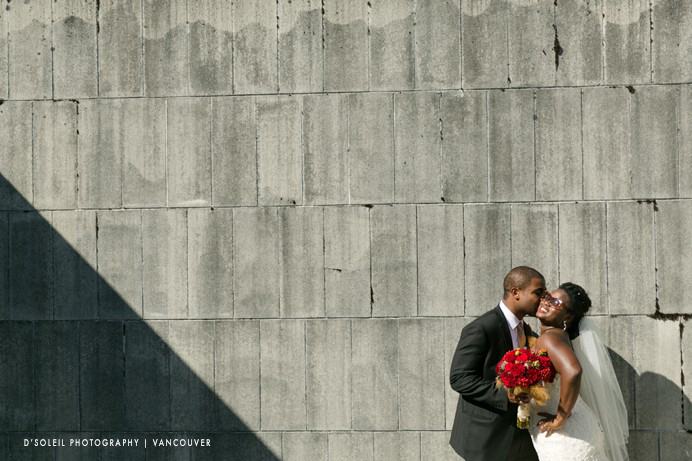 It was very hot that mid-summer afternoon, but it gave us some amazing lighting. 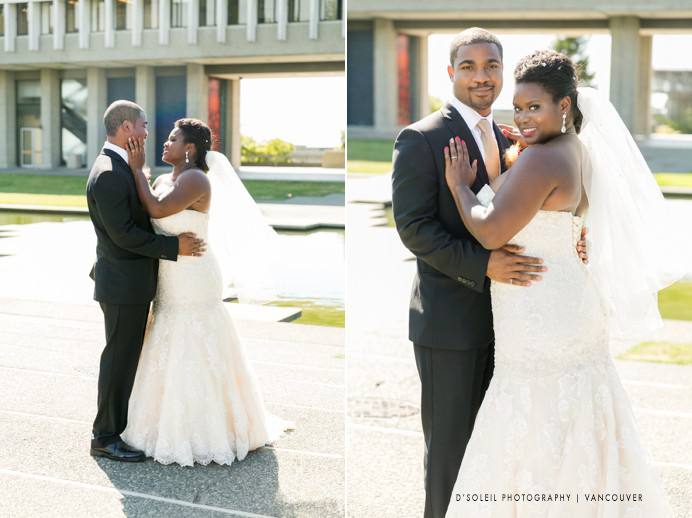 We then made a short trip up to SFU campus, where Dami + Curtis first met. 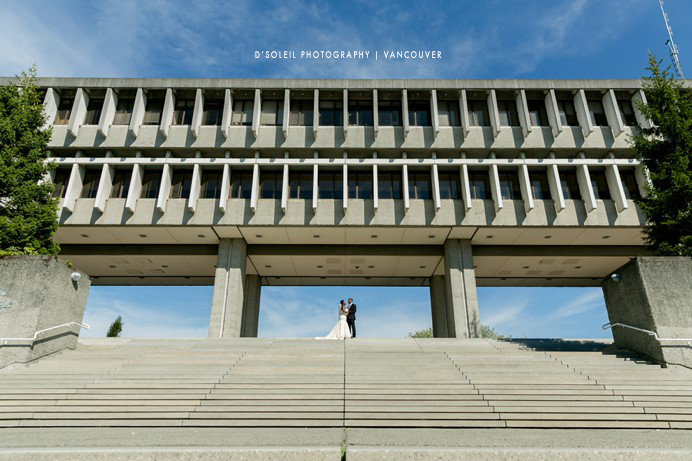 It is a special place for them, so we walked around the campus and made some photos around beautiful architecture against a stunning mountain backdrop. 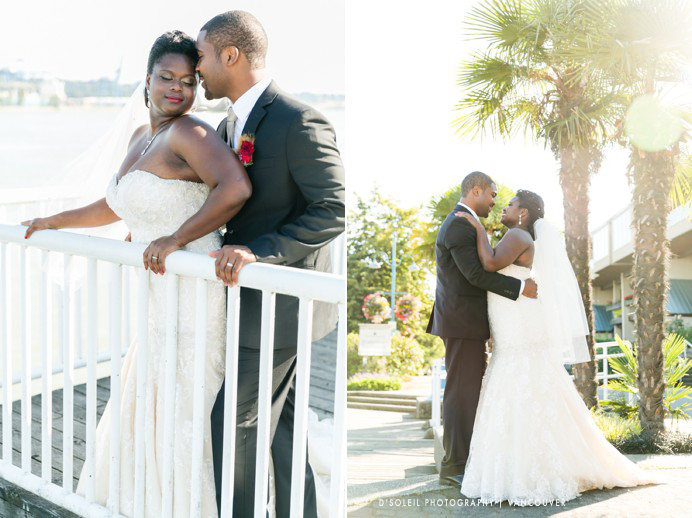 A little time was spent at New Westminster Quay, where we made some photographs just outside the Inn at the Quay Hotel. 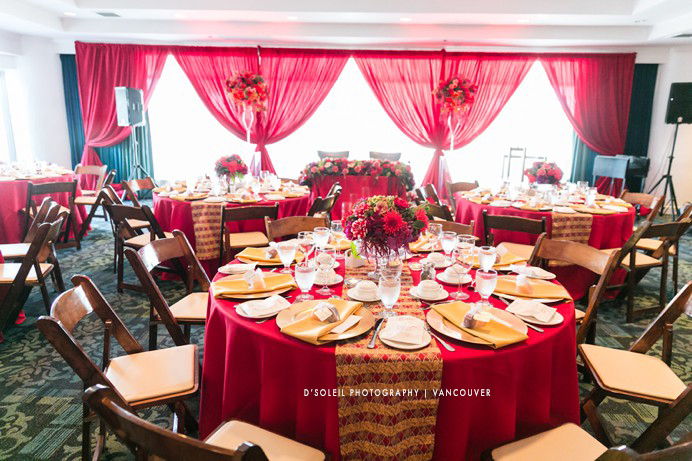 Inside the wedding venue, African/Caribbean style decor, including chairs, table liners, and flowers by Dushan Flowers looked as beautiful as expected. 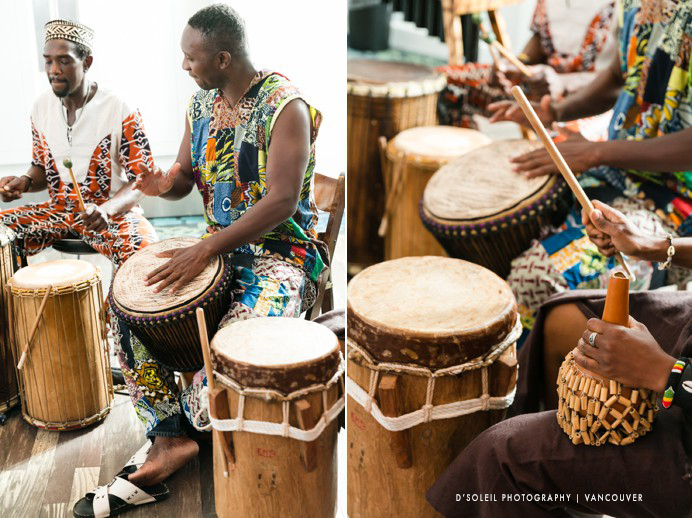 Dami + Curtis entertained their wedding guests with African drummers and dancing through the evening. 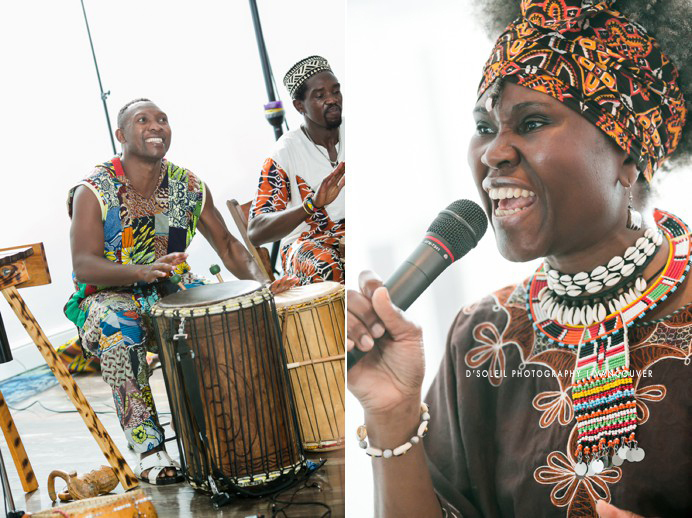 Photos simply can’t express how amazing the music and experience was for everyone. 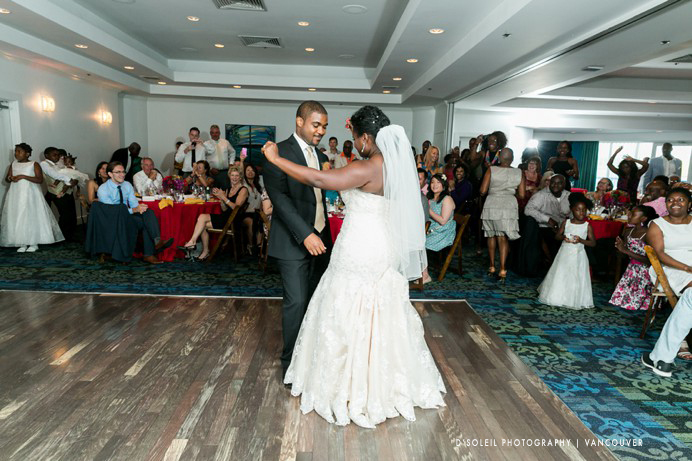 It got guests hearts pumping and lots of dancing feet going that evening. 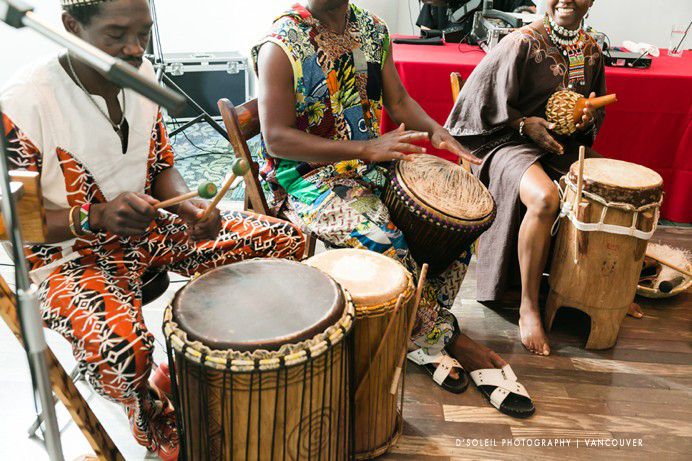 It was an unforgettable cultural experience. 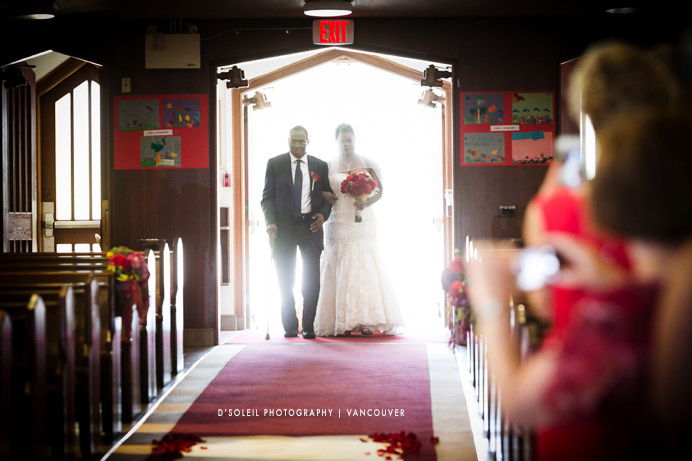 For more information on our wedding photography services or advice on photographing around New Westminster and the Quay area, feel free to contact me at daniel@dsoleil.com or visit www.dsoleil.com for more details about us. 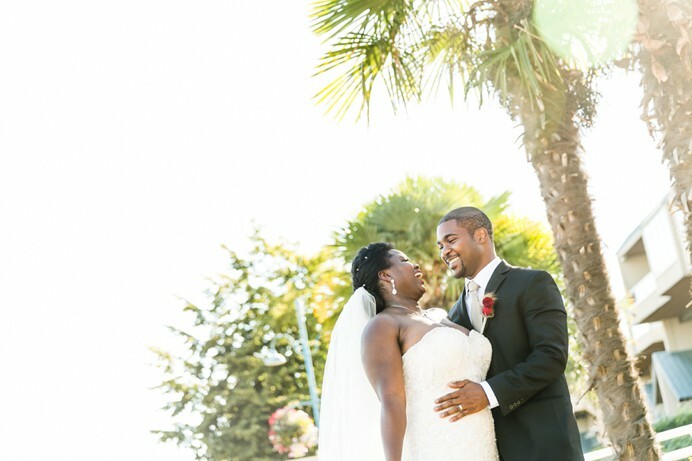 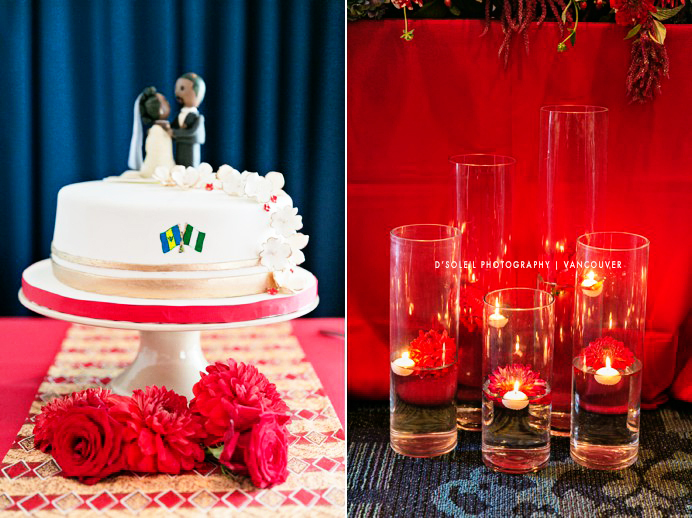 We are creating a wedding gallery of pictures taken in our hotel of weddings. 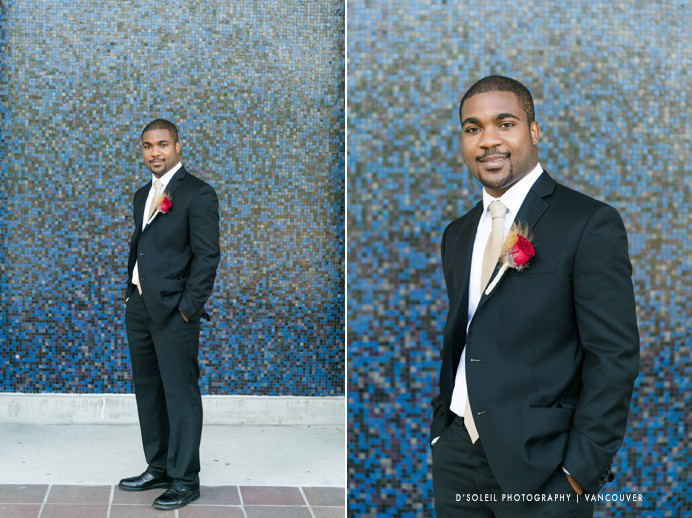 If you wish to contribute some of the pictures you took we would be glad to add them and give you credit. 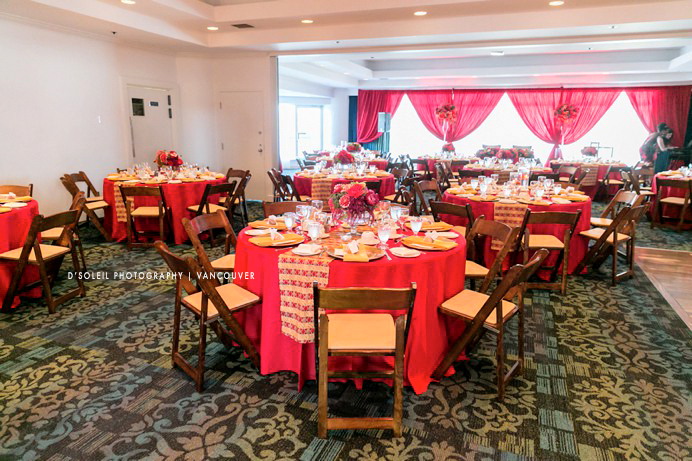 Unless you have a waiver we would prefer to have pictures with no people in them. 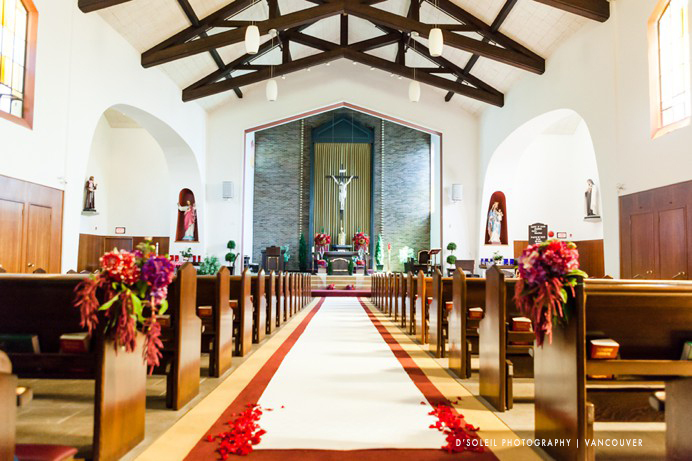 I look forward to your reply.